Your kitchen should be able to store a whole host of appliances and utensils, along with food and cooking equipment, yet still have enough space for you to move around freely. With this in mind, reducing clutter and making the most of any storage space is a necessity, especially if the kitchen is used on a regular basis. Don’t neglect wall spaces higher up which have been left blank. 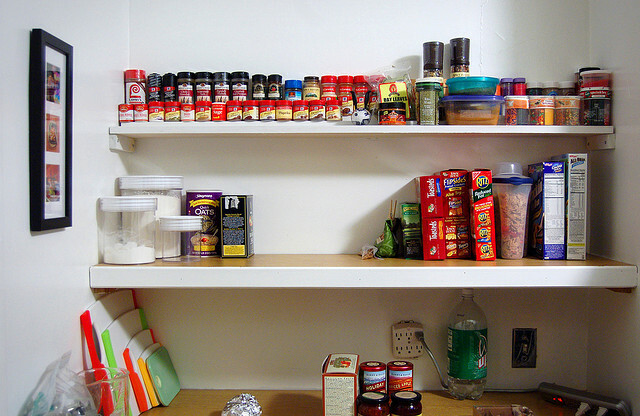 Attaching new shelves in these free spaces is a relatively easy way to create more storage space, perfect for keeping cutlery, cups or ingredients. Another great tip is to invest in a door mounted storage rack which can be fitted onto the inside of cupboard doors to take advantage of unused space. Great for use under the sink, it provides the perfect station for items such as dish soap, detergent, sponges, and scrubbers. What is more annoying than pans and lids falling out every time you open a kitchen cupboard? Investing in a lid rack is one way to de-clutter effectively, either to be hung on the back of a cabinet door or laid on a flat surface. 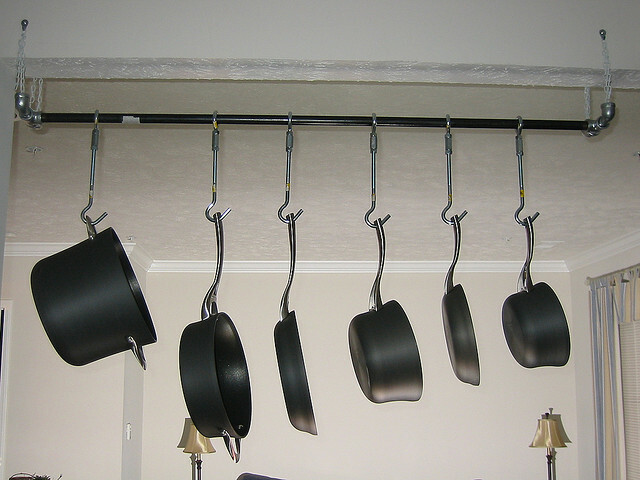 If lid racks aren’t your things then you could try a hanging pot rack, providing an easy way to grab pans without the hassle of rummaging around cupboards. Remember to watch your head if operating in a low-ceiling kitchen however! Stacking plates on top of each other is impractical as well as taking up valuable space. There are plenty of specialised racks which hold plates in separate compartments, both vertically and horizontally. Cork boards can be fitted to walls or the inside of cupboards and used to hang various utensils or cups from. They won’t take up any extra space and make it easy to quickly locate items when needed. 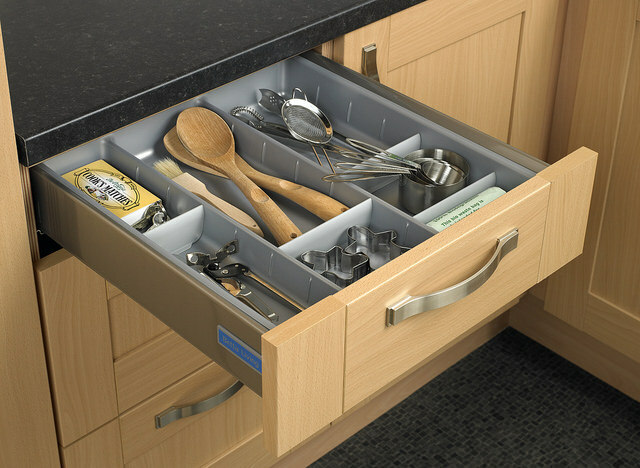 Fitting kitchen drawer compartments is a great way to help sort out where cutlery is placed and keep things in order. This will stop items sliding around in drawers and prevent them from getting lost within a sea of other cutlery. Many standard drawers will only slide out a short distance from their foundation – this means potential space inside is wasted. Consider investing in enlarged trays which pull out fully. 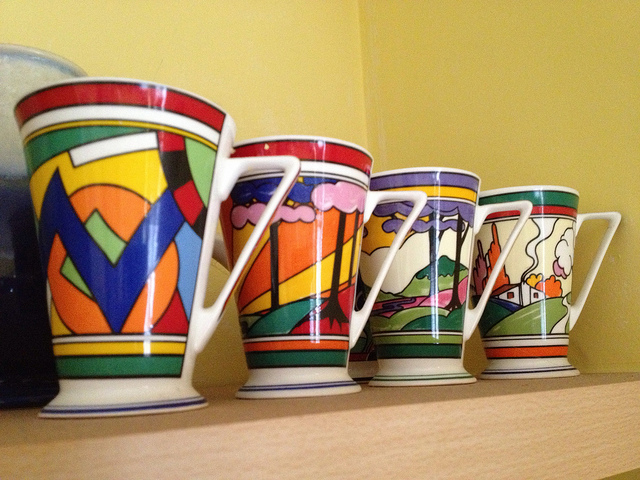 These are perfect for keeping items such as blenders or large pans for example. Why not make the most of your fridge’s magnetic qualities for additional storage capacity? Such items as magnetic spice racks will attach to the side of your fridge for a quirky yet practical storage solution. Some kitchens will contain larger wooden shelves with plenty of room to manually attach another ledge inside. This is a great way to provide extra space for such items as cups, plates and bowls. For smaller kitchens, a foldable dining table is the perfect contraption to create additional room, tucked in against a wall when not in use. Feature image credit: Steve Larkin via Flickr. If you enjoyed this blog post then perhaps you would like to read “Natural Ways to Make Your Home Smell Irresistible“?